As the title suggests, and then there were ten. I posted about my Sew Together Bag obsession here. Like most obsessions, it doesn't go away on its own. So here is No. 10! I made it to swap with a friend who is making something darling for Princess. More on that at a later date, think Noel and fir trees. 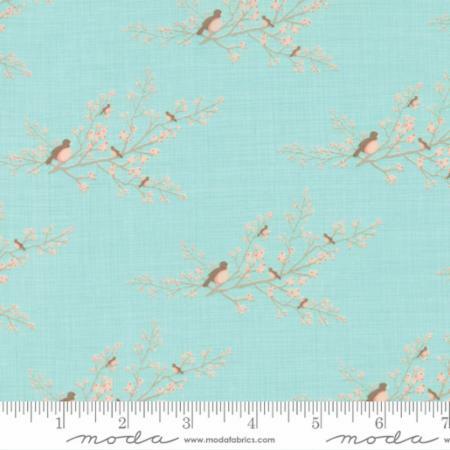 The fabric set I used was Lullaby by Kate & Birdie Paper Co for Moda Fabrics. I love those sweet little birds and my friend likes peach. I always love the look of the side of the bag when its closed. I know I am strange. Go with it. It is always fun to see the insides. And yes, I did intend for the zippers to open in opposite directions. I love the cool crisp look to this color combination. So there you go, the simple story of No. 10. What are you working on, faithful reader? Gorgeous! 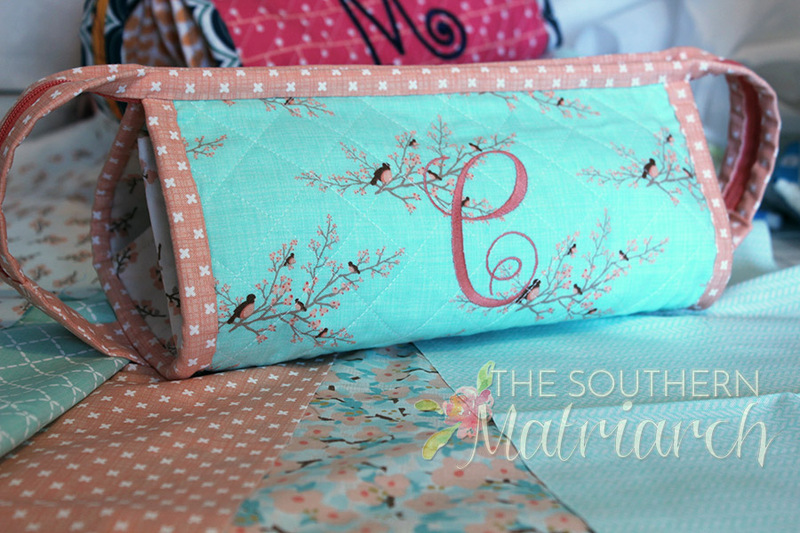 I love the fabric combination you chose - so pretty! Thanks for sharing, you have got my creative juices flowing, as always! Martha, your binding is perfect. Do you machine sew it down or hand sew? I struggle with machine sewing it down, but then don't know if I hand sew it if it will hold up. 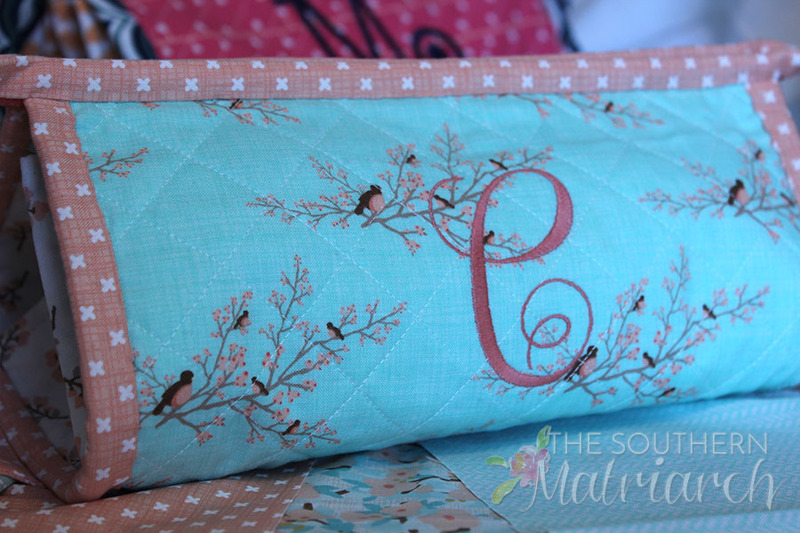 I see bags that others machine sew and their binding looks perfect. Mine looks like, well, you know. Carol, I do machine sew it to the bag, but when I fold it over, I hand sew it down. They have held up quite well from what I can. My girls use them as make-up bags and they are still together. I don't seem to have as much control trying to stitch by machine. There are several tutorials online for using a Bernina #70 or 71 foot, not sure what the foot would be called for other machine, that many have had good luck with on the bags. I bought the foot but haven't been brave enough to try yet. 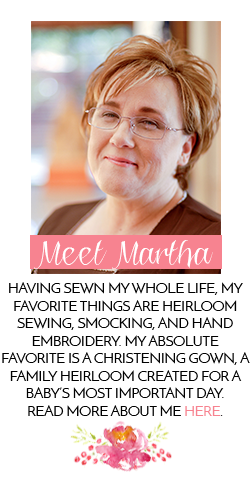 Thanks, Martha! I'll have to see if I have that foot. 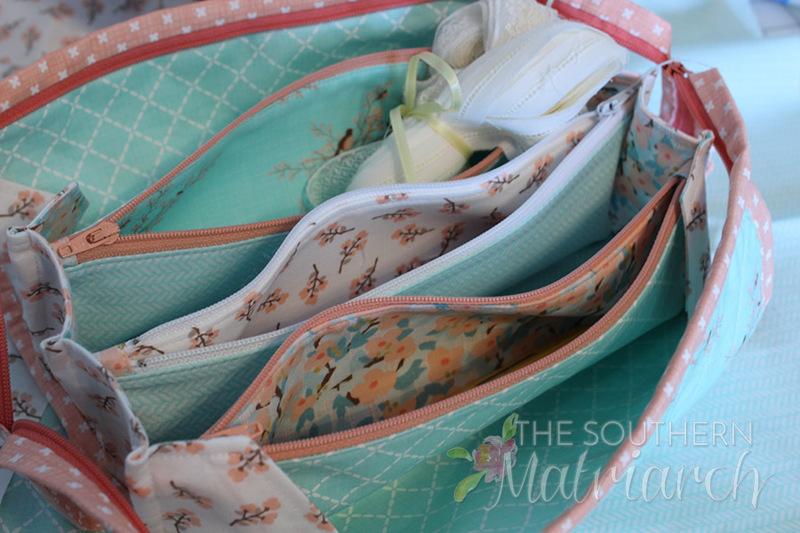 Mine has held up well, too, but I included one in a diaper bag with baby bits and bobs in it, and figured that would get a bit of harder use! You are inspiring me to use my embroidery machine a bit more! I couldn't believe how I missed your original post about this, but when I clicked on the link I realized it was published on the day we moved into our new house! 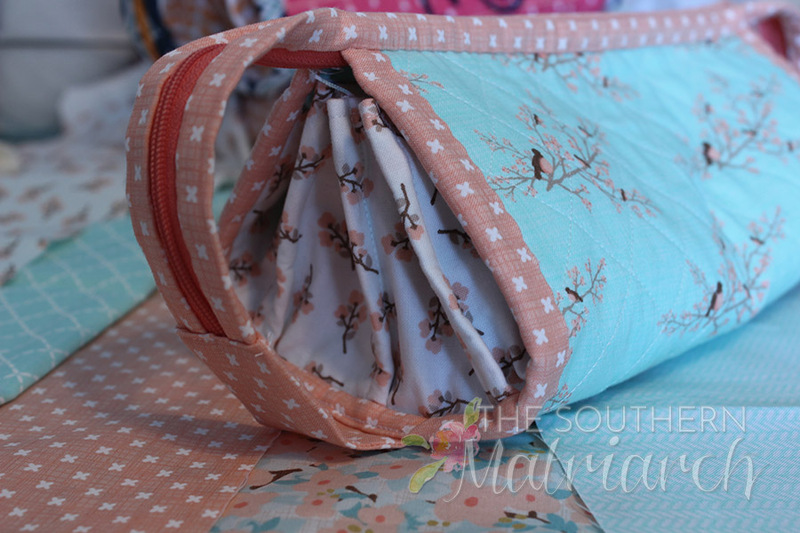 I immediately bought the pattern and made a bag using zippers and fabric from my stash. Love it! Next I'll make some for the guys in my life, but I'll probably have to buy fabric, as I doubt I have anything suitable, too many florals in my stash. Now to get more zippers.